Native to Eurasia, including most of Europe and many parts of Asia (i.e. from Turkey eastwards to Siberia and north-western India). Note: Several closely-related plants from Northern America, that were regarded as separate species, are now recognised as sub-species of yarrow (Achillea millefolium) by some botanists. 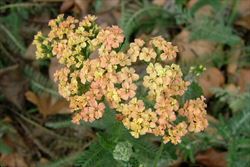 Under this classification system the plant that is native to Eurasia, and the one that has been introduced into Australia, is called Achillea millefolium subsp. millefolium. It is generally considered to be introduced to North America. 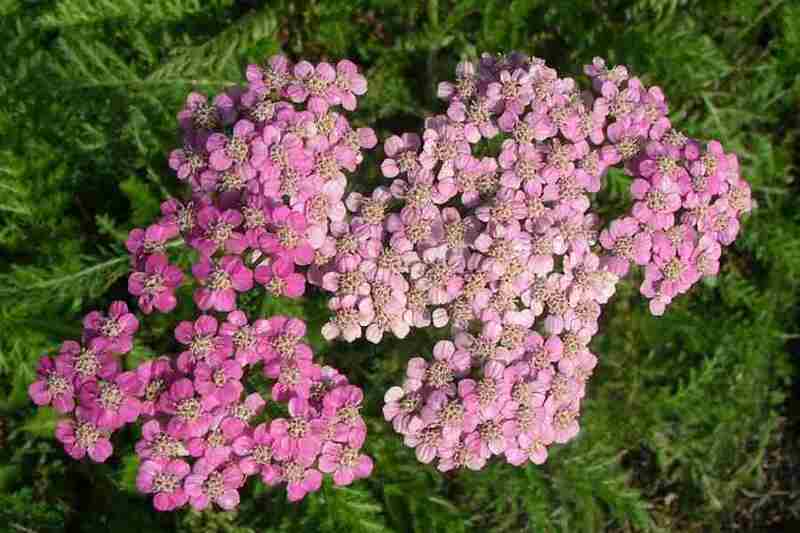 Yarrow (Achillea millefolium) was originally brought from Europe to be planted in herb gardens. It has had a long-standing reputation for healing wounds and also has a number of other medicinal uses. It it also a favoured plant in English cottage-style gardens, from which it has escaped. In addition to the regular white and pink flowered forms of this species, several other cultivars are also still commonly grown in the temperate regions of Australia including 'Cerise Queen', 'Fanal', 'Red Beauty', 'Paprika', 'Rosea' and 'Apfelblute'. In more recent times a wide variety of hybrid cultivars, displaying a wider range of flower colours, have also been developed (e.g. 'Great Expectations', 'Moonshine', 'Lachsschonheit' or 'Salmon Beauty', 'Schwellenberg' and 'Taygetea'). 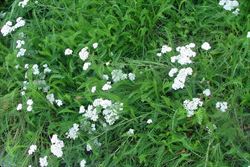 Most of these have yarrow (Achillea millefolium) as one of the parents, but are thought to be less invasive than the original species. This species is widely naturalised in southern and eastern Australia, and is particularly common in temperate and cooler highland areas. It has been recorded from south-eastern Queensland, eastern New South Wales, the ACT, Victoria, Tasmania, south-eastern South Australia and the southern parts of Western Australia. 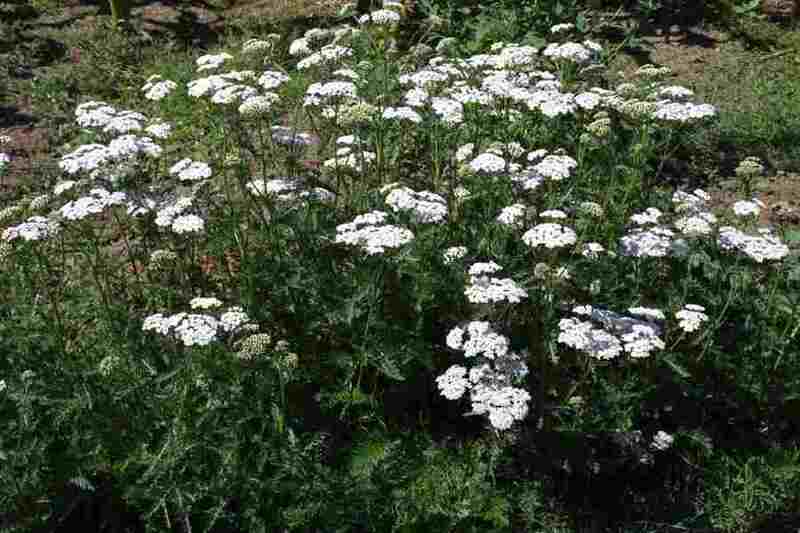 Yarrow (Achillea millefolium) is probably most widespread in Victoria, where it is present in all but the drier parts in the north-west of the state. It is most common in highland areas, and particularly common in the sub-alpine areas in the north-east of Victoria. In New South Wales it is generally found in the eastern parts of the state south from Lismore, and is once again most common in highland regions (i.e. on the northern, central and southern tablelands - including the ACT). It is also quite common and widespread in Tasmania, particularly in well settled and agricultural areas in the north and east of the state. In South Australia it is well established in the south-eastern parts of the state and is possibly also naturalised in the Northern Lofty Ranges region and on the Eyre Peninsula. In Western Australia there are only scattered occurrences of this species near inhabited areas in the southern and south-western parts of the state (i.e. in the Perth, Pemberton and Esperance districts). It has also been recorded as locally naturalised around Stanthorpe in the cooler highland areas of south-eastern Queensland. 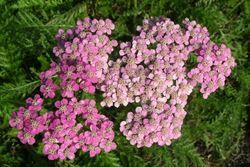 Yarrow (Achillea millefolium) is also naturalised in many other parts of the world, including North America and New Zealand. This species usually grows in disturbed habitats, neglected gardens, waste areas, pastures, turfed areas, gullies and along roadsides in relatively moist locations within the temperate regions of Australia. It is particularly common in highland areas and is occasionally also found in the cooler highland parts of sub-tropical regions. In addition to these habitats, yarrow (Achillea millefolium) has become well established in native grasslands and woodlands, particularly in the sub-alpine areas of south-eastern Australia. In New Zealand it is common in disturbed sites and waste areas (e.g. railways and industrial areas), along roadsides, in pastures and in lawns. It is also found in marshy sites, in coastal environs, and forms extensive patches in cultivation and grasslands. 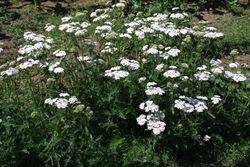 In its native habitat in Eurasia, yarrow (Achillea millefolium) generally grows in meadows and pastures on all but the poorest of soils. A long-lived (i.e. 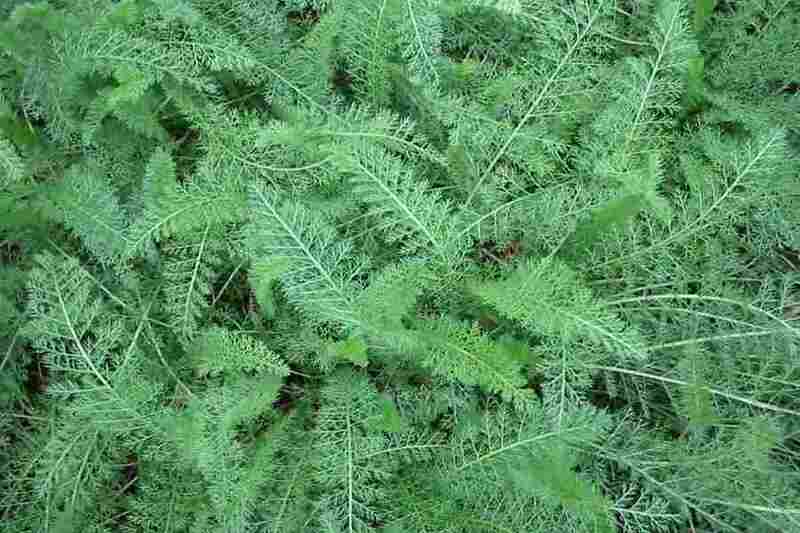 perennial), mat-forming, herbaceous plant that develops an extensive network of branching underground stems (i.e. rhizomes). Numerous short-lived upright (i.e. erect or ascending) stems usually growing 10-60 cm tall, but occasionally reaching up to 1 m in height, are produced each year. a long-lived plant producing several short-lived stems each year from a network of creeping underground stems. plants produce a rosette of shortly-stalked leaves followed by upright stems with smaller, stalkless leaves. 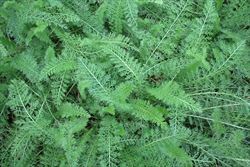 its elongated leaves have a ferny appearance, being highly divided into numerous tiny narrow segments. its flower-heads have about five white, pink or mauve 'petals' and are borne in large flat-topped or slightly rounded clusters at the tips of the stems. several small hairless 'seeds' are produced in each of the mature flower-heads. Seedlings have two seed-leaves (i.e. cotyledons) that are egg-shaped (i.e. ovate), oblong or club-shaped (i.e. clavate) in outline and relatively small (2-4 mm long and 1.5-2 mm wide). The first true leaves appear to be oppositely arranged and are usually slightly three-lobed with a scattered covering of hairs on their upper surfaces. The following leaves are progressively more deeply lobed and quickly become divided into numerous narrow (i.e. linear) segments. Young plants initially form a loose basal rosette of leaves. What can appear to be a group of young plants, may in fact be a collection of shoots being produced from a network of creeping underground stems (i.e. rhizomes). These 'seedlings' are not true seedlings and will not have any seed-leaves (i.e. cotyledons). The stems are generally unbranched, except in the dense flower clusters, and are almost rounded in cross-section (i.e. terete). They are finely ridged (i.e. striate) and usually at least partially covered in soft, woolly hairs (i.e. pubescent). The soft and feathery-looking leaves are initially crowded into a loose basal rosette and are alternately arranged along the upright (i.e. erect) stems. The lowermost leaves (i.e. the basal leaves), and those near the base of the stem, are usually shortly-stalked (i.e. petiolate) and somewhat larger in size (5-15 cm long and 2-5 cm wide). While the leaves along the remainder of the stem (i.e. the cauline leaves) are usually stalkless (i.e. sessile), and tend to decrease in size (2-10 cm long and 8-25 mm wide) and become less divided towards the tops of the stems. Leaves are generally elongated in outline (i.e. lanceolate, narrowly elliptic or narrowly ovate) and highly divided into numerous tiny narrow segments (i.e. 2- or 3-pinnatisect), the final segments ranging from 0.2-1 mm wide. However, they are divided practically to the main leaf branch (i.e. rachis), which is very thin (0.4-1.5 mm wide), and so appear to be compound (i.e. bipinnate) with numerous (about 15) pairs of leaf branchlets (i.e. pinnae) each about 5-20 mm long. Leaves are usually softly hairy (i.e. pubescent), particularly when young. They also give off a strong scent, particularly when damaged (i.e. they are aromatic). The flowers are actually small flower-heads (i.e. capitula) that are made up of numerous tiny flowers (i.e. florets) borne on the expanded top of a flower stalk (i.e. receptacle) and surrounded by several rows of bracts that form a cup-like structure (i.e. an involucre). About 20 bracts (i.e. involucral bracts) surround each flower-head (i.e. capitulum) and are arranged in 3-4 indistinct overlapping rows. These bracts vary in size (from 1-5 mm long), are relatively hairy, and are somewhat elongated in shape (i.e. narrowly ovate). 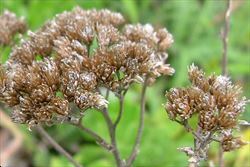 They are greenish in colour, often with darker margins, and turn pale brown as the flower-heads mature. Each flower-head (5-10 mm across) usually has five 'petals' (occasionally 4-7) that are white, pink, reddish-pink or mauve in colour. They are quite small (1-4 mm long and about 3 mm wide), usually have three tiny teeth at their tips, and are actually the upper parts of tiny female flowers (i.e. the ligules of ray florets). At the centre of each flower-head are numerous (10-20) tiny tubular flowers about 2 mm long (i.e. disc or tubular florets). They are yellow, white or cream in colour with five small teeth towards their tips. These tubular florets have both male and female flower parts (i.e. they are bisexual). Large numbers of the flower-heads are densely arranged into flat-topped or slightly rounded branched clusters at the tips of the stems (i.e. in terminal corymbs). These flower-head clusters can be up to 15 cm across, but are usually 4-10 cm across. Each individual flower-head (i.e. capitulum) is borne on a short leafless stalk (i.e. peduncle) 1-5 mm long, with the stalks of the outermost flower-heads (i.e. capitula) generally being longer than those of the inner ones. Flowering occurs during summer and autumn (i.e. from December to May) in the southern parts of the country, but usually occurs in spring (i.e. from September to November) in warmer regions. The 'seeds' (i.e. 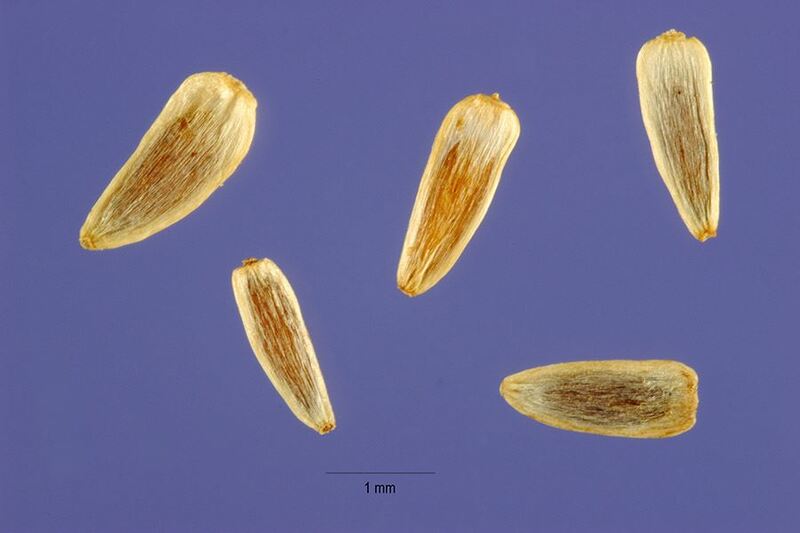 achenes) are elongated in shape (1.4-2.5 mm long and 0.5-0.8 mm wide) and somewhat flattened (about 0.3 mm thick). They are greyish or dark brown in colour, hairless (i.. glabrous), smooth in texture, and have a slightly glossy appearance. The mature 'seeds' are not topped with any structures (i.e. they do not have a pappus). This species reproduces by seed, and also vegetatively by creeping underground stems (i.e. rhizomes) which give rise to new shoots. Its seeds are long-lived and may remain dormant in the soil for many years. The tiny seeds are primarily wind-dispersed, but are usually only blown short distances. Plants may also spread short distances laterally over time, via their creeping underground stems (i.e. 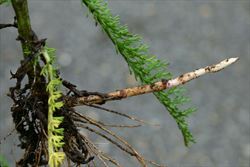 rhizomes), and can form quite large colonies. The seeds and rhizomes may also be dispersed in dumped garden waste. 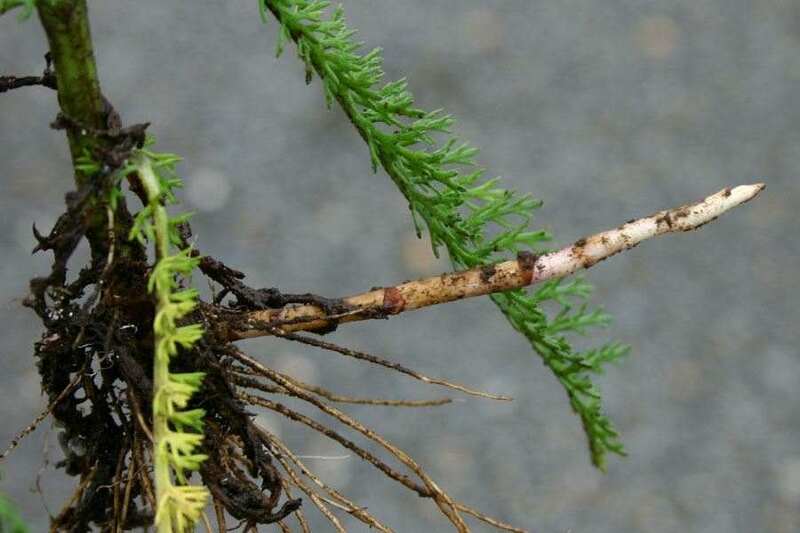 In addition, rhizome segments (that are each capable of developing into new plants) may be spread in contaminated soil during road maintenance, cultivation, and other activites that involve the movement of soil. It is also highly likely that the tiny seeds are spread on clothing and vehicles. Yarrow (Achillea millefolium) seeds have also often been found to contaminate commercial seed in other countries. 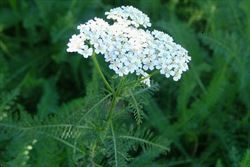 Yarrow (Achillea millefolium) is regarded as an environmental weed in Victoria, the ACT, and the southern parts of New South Wales. Though this species is naturalised in many parts of southern Australia, it is only considered to be a serious problem in the alpine and highland regions of south-eastern Australia. However, within these regions it is of relatively high importance and it is regarded by some to be the most concerning environmental weed in the Australian Alps. 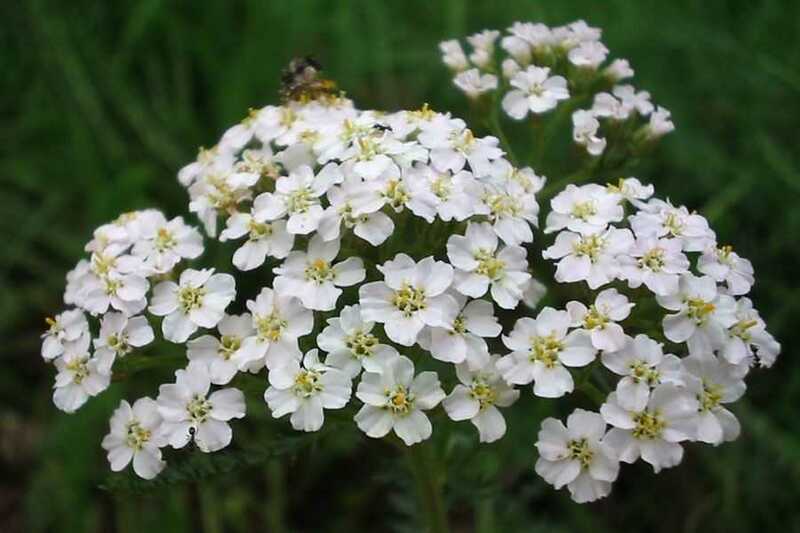 Yarrow (Achillea millefolium) allocates a relatively large proportion of resources to below-ground structures (i.e. rhizomes), and this is thought to be the reason why it is such a strong competitor at higher altitudes (i.e. where snow and cold temperatures can prevent growth of plants for much of the year). This species has been naturalised in the Australian Alps for many years (i.e. as a sleeper weed), but its population rapidly increased during the 1990's. A population increase that is thought to be partly due to the use of gravel from contaminated pits in road maintenance activities and/or the use of contaminated hay in rehabilitation works. It is now considered to be highly invasive and quite vigorous in native vegetation in highland areas and is a regarded as a potential threat to the native sub-alpine and alpine plant communities of the Australian Alps. This species is of particular concern in and around ski resorts in southern New South Wales and is a significant environmental weed in the Kosciuszko National Park, near the New South Wales/Victoria border. In the Kosciuszko National Park it is primarily found along roadsides (including drains, culverts and embankments), near tracks, and around buildings and ski lodges. However, it is spreading from these sites into the surrounding natural vegetation. It is also present further north in the Brindabella National Park, and in the ACT it is of concern in the Ginini Flats Wetlands Ramsar Site. 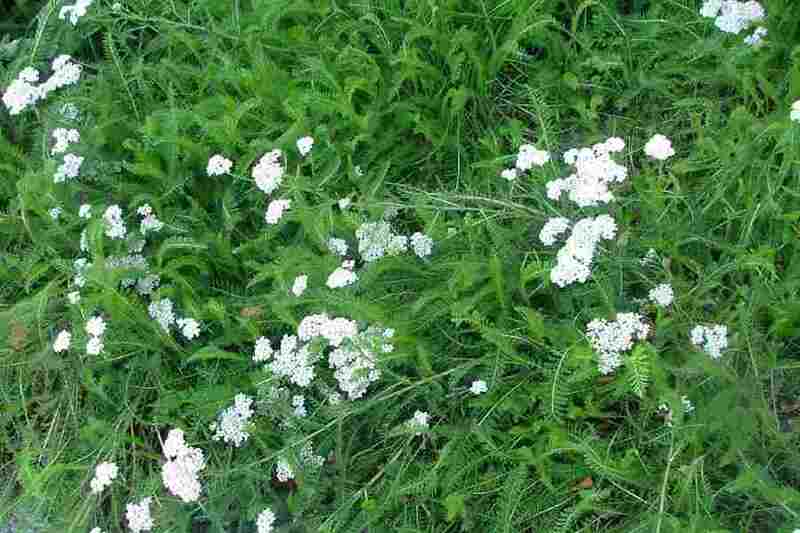 Here yarrow (Achillea millefolium) is growing along the Mt. Franklin road, from where it has the potential to spread into the nearby wetlands and surrounding flats. It is also present in similar situations in the north-eastern parts of Victoria, where it is listed as an environmental weed in the Goulburn Broken Catchment region and has been recorded from the resort areas at the Mt Buller and Mt Stirling alpine resorts. 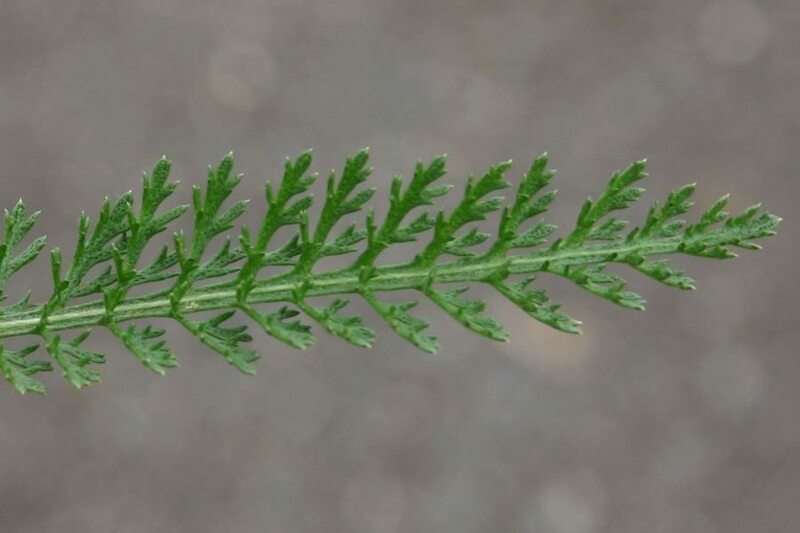 Yarrow (Achillea millefolium) also forms significant weedy infestations in Tasmania, but here it is generally seen as a weed of roadsides, turf and pasture areas. It it relatively widespread and common, particularly in agricutrural areas the north-east (e.g. in the Tamar Valley) and in settled areas around Hobart in the south-east (e.g. in the bushland areas fringing the Derwent River). However, it is a potential weed of some significant sub-alpine and alpine areas in the western parts of Tasmania. Because it generally grows on wasteland and road verges in the southern parts of Western Australia, and in similar habitats in the south-eastern parts of South Australia and Queensland, it has a relatively limited environmental impact in these states. Yarrow (Achillea millefolium) is not declared or considered noxious by any state or territory government in Australia. the Yarrow page on the Tamar Valley Weed Strategy website at http://www.weeds.asn.au/. 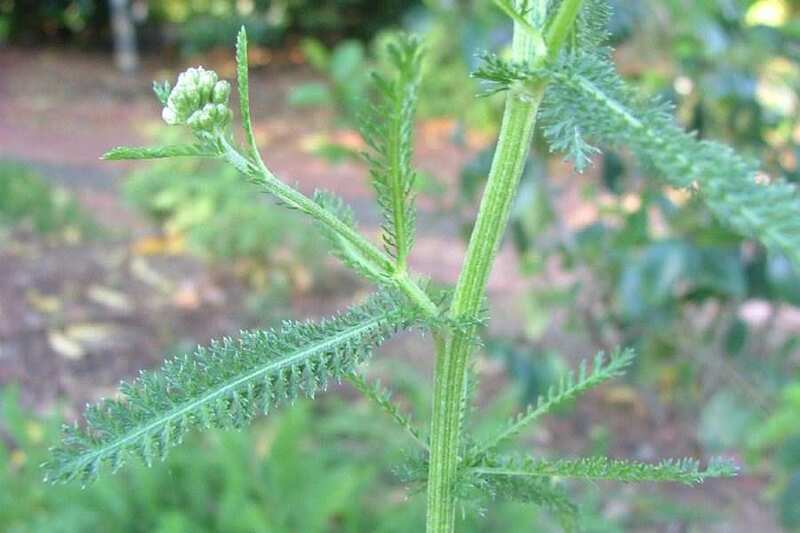 yarrow (Achillea millefolium) has leaves that are divided almost all the way to the midrib (i.e. rachis), into very narrow segments that have a sparse to dense covering of soft spreading hairs. The wings on either side of the midrib are almost non-existent (less than 1 mm wide) and are usually straight between each of the leaf segments (i.e. pinnae). Naturalised forms generally have white, pink, reddish-pink or mauve coloured flowers. 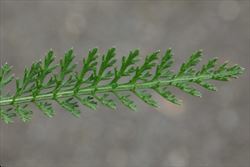 tansyleaf milfoil (Achillea distans subsp. tanacetifolia) has leaves that are divided most of the way to the midrib (i.e. rachis), into very narrow segments and have a sparse to dense covering of soft spreading hairs. The wings on either side of the midrib are relatively broad (1-2 mm wide) and are usually toothed or lobed between each of the leaf segments (i.e. pinnae). Naturalised forms generally have white, pink, reddish-pink or mauve coloured flowers. fernleaf yarrow (Achillea filipendulina) has leaves that are divided most of the way to the midrib (i.e. rachis) into relatively broad toothed segments and have a dense covering of short close-lying (i.e. appressed) hairs. The wings on either side of the midrib (i.e. rachis) are relatively broad (1-2 mm wide) and are usually toothed or lobed between each of the leaf segments (i.e. pinnae). Naturalised forms generally have golden yellow flowers. 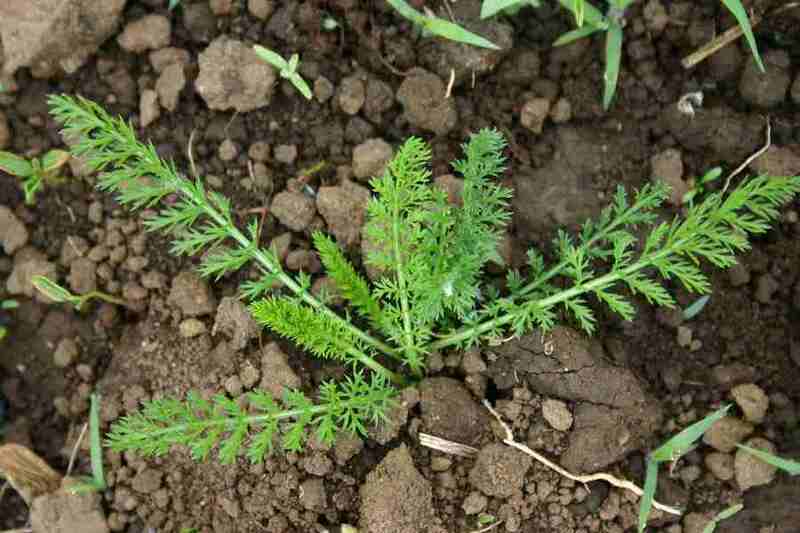 In addition, the leaves and habit of young fennel (Foeniculum vulgare) plants are very similar. However, fennel (Foeniculum vulgare) leaves are generally larger (30-50 cm long) and hairless (i.e. glabrous). Mature plants easily distinguished by their much larger (1.5-2 m tall) habit, thick woody stems, and compound clusters of small yellow flowers.